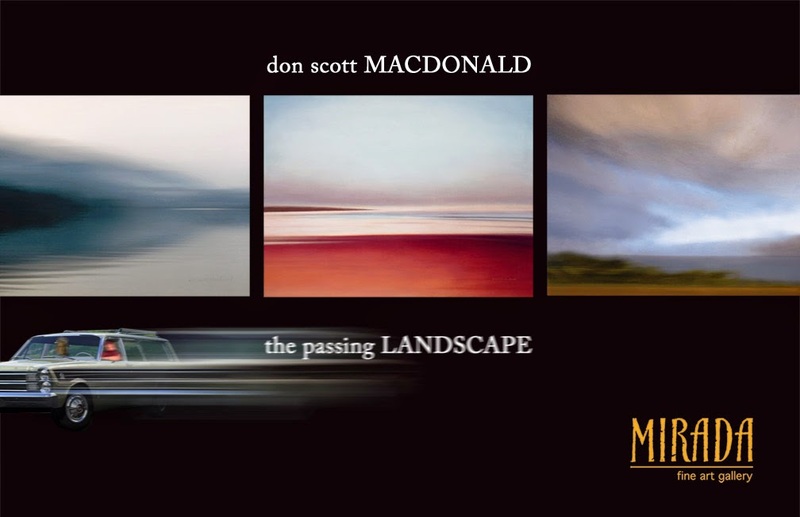 We had an amazing opening reception on Friday night, May 16th for Don Scott Macdonald's 'the passing LANDSCAPE' exhibition. 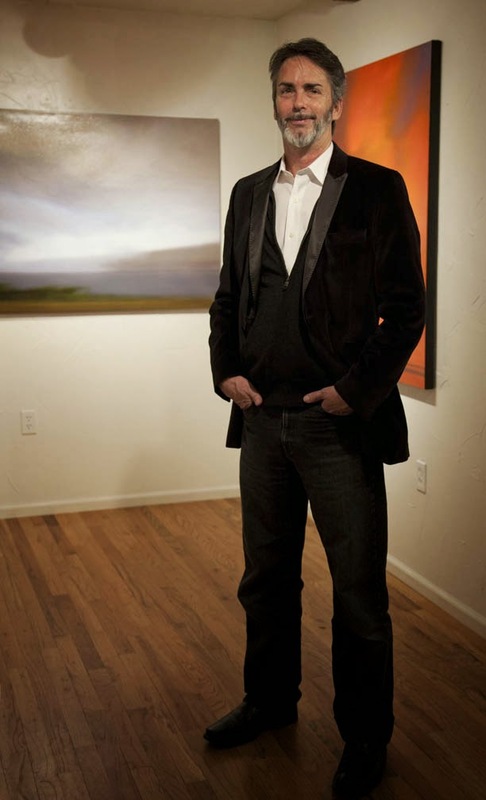 Don Scott Macdonald at Mirada Fine Art: 'the passing LANDSCAPE' opening reception. 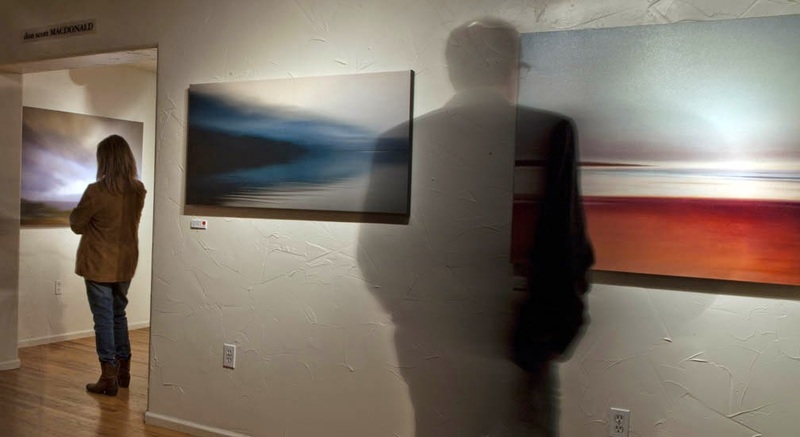 Don's canvases are not simple recreations of static landscapes. Rather, he strives to distill the essence of a scene. 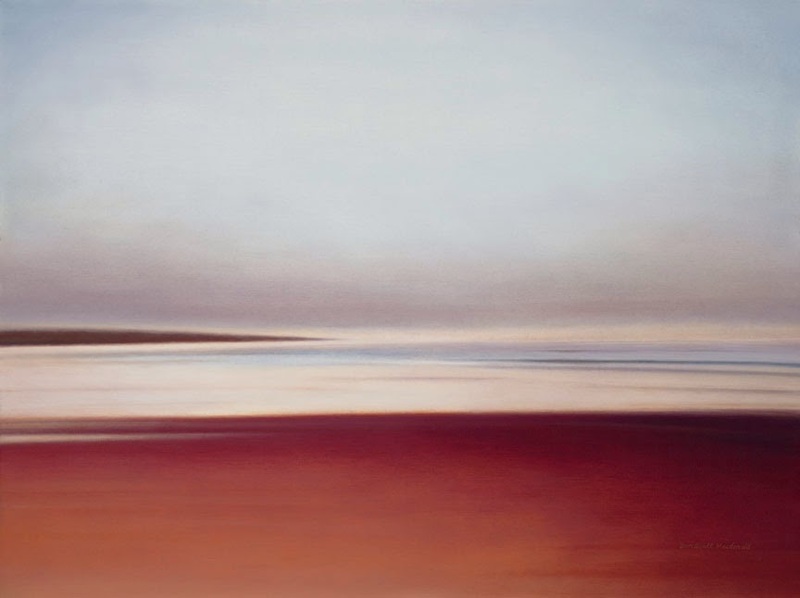 Dreamy, simple and powerfully emotive, each painting juxtaposes pperceived stillness with inherent movement, and expert representation with unearthly abstraction. 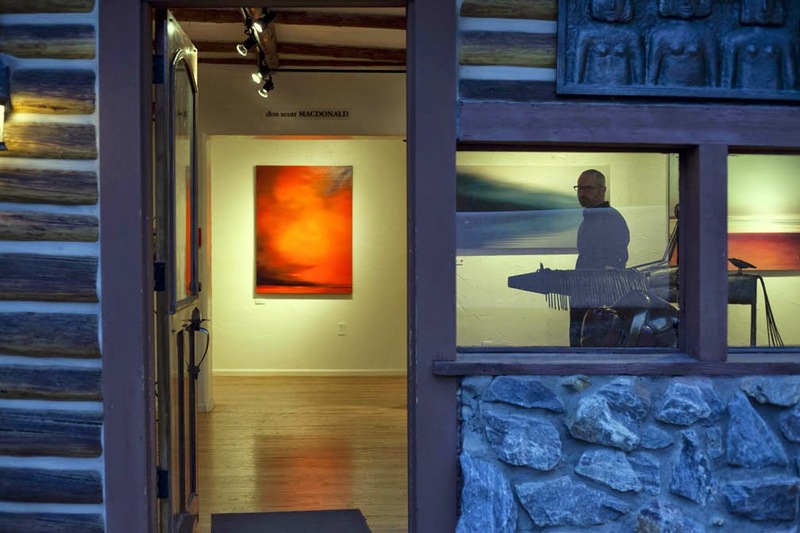 If you weren't able to attend the opening, Mr. Macdonald's exhibition will be hanging at Mirada Fine Art through June 8, 2014. Although this will be your best opportunity to see so much of Don's work hanging at one time, he is one of Mirada's 30 permanent artists, and you can always ask to have any of his artwork pulled from their art stacks (if it isn't out). Don Scott Macdonald at Mirada Fine Art. Discussing his artwork with an admirer. 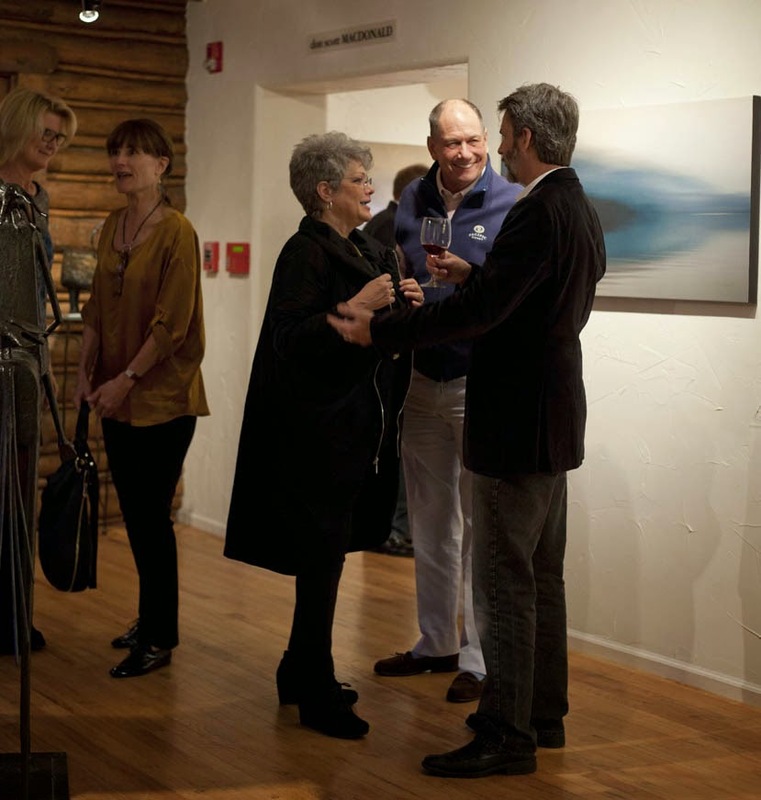 Don Scott Macdonald at Mirada Fine Art: "the passing LANDSCAPE"
Jenni Sonnen, Mirada Fine Art co-owner, chats with some of Mirada's wonderful clients. Taking a close look at a Don Scott Macdonald painting. 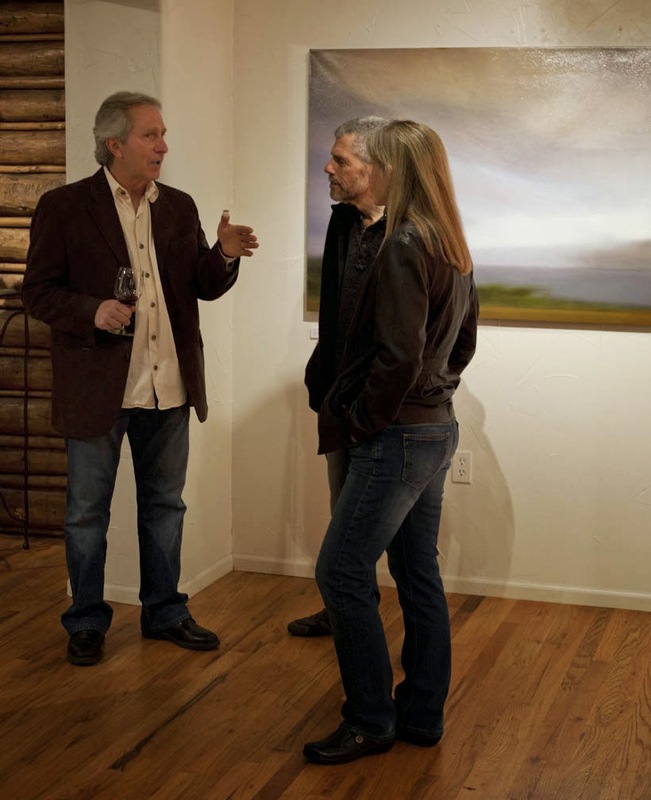 Don Scott Macdonald discussing his artwork at Mirada Fine Art. 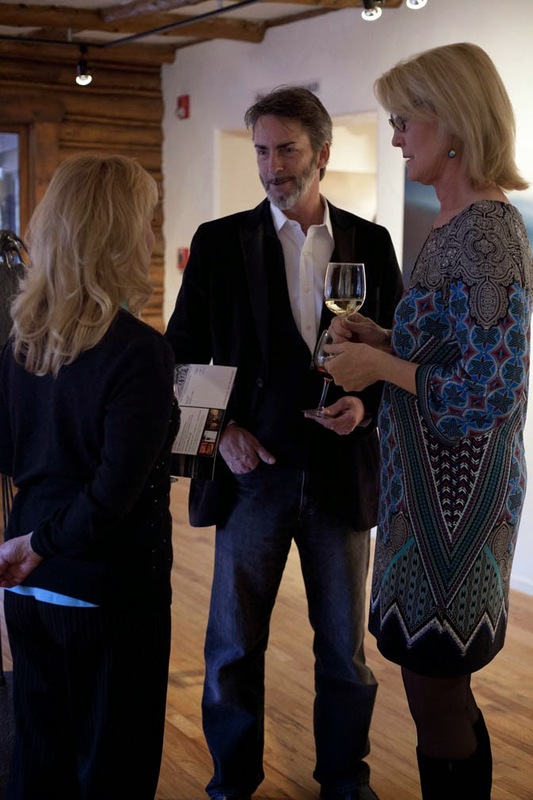 Patrons at Mirada Fine Art chat in front of a Don Scott Macdonald painting. Don Scott Macdonald at Mirada Fine Art. Typically when you think of landscape paintings, a re-creation of a static picture is conjured up. Don Scott Macdonald’s elegant and distinctive work emphatically breaks out of that norm. Maconald’s oil and alkyd paintings distill the essence of a scene rather than simply copying the details. 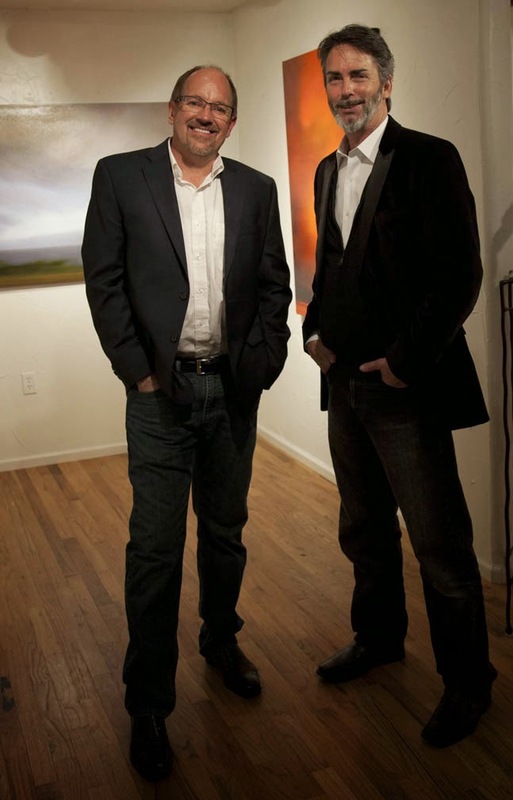 His new exhibition, aptly entitled ‘The Passing Landscape’ will arrive at Mirada Fine Art Gallery in Indian Hills on Friday, May 16 for the artist’s first Colorado exhibit. 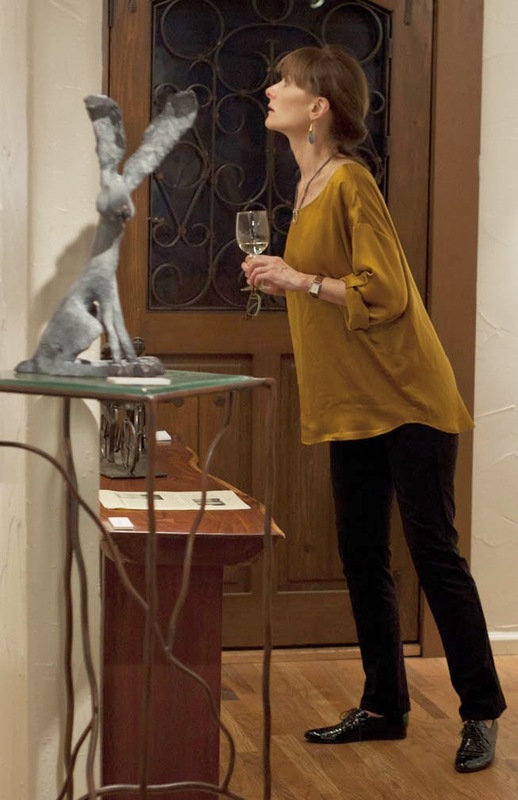 Meet Don during a reception for the artist that night from 6-9pm. Don Scott Macdonald at Mirada Fine Art, 'Boundless,' Original Oil/Alkyd on Canvas, 36" x 48"
Simultaneously representative and abstract, earthly and unearthly, Mr. Macdonald’s subtly lit work pulls viewers in, reminding them of past events, and revealing a path to future dreams. Individuals and corporations from the across the globe have become avid collectors of California-based Macdonald. Among his fans are Chrissie Hyndes (lead singer of The Pretenders) and Davey Johnston (Elton John’s guitarist). Aspen’s Hotel Jerome proudly displays Don’s magnificent work, as do the Bank of Marin in Sonoma, California, and a prominent architectural firm in Singapore. 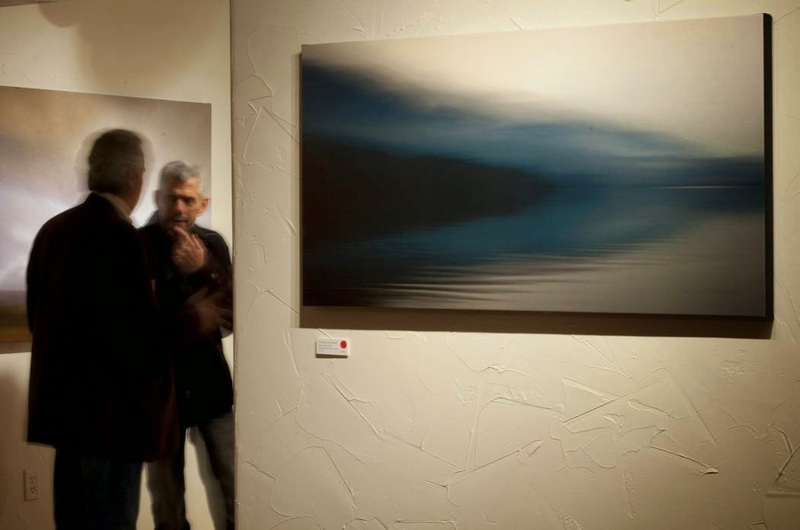 They have all become enamored with the artist’s unparalleled ability to juxtapose the stillness of a landscape with the inherent underlying movement. 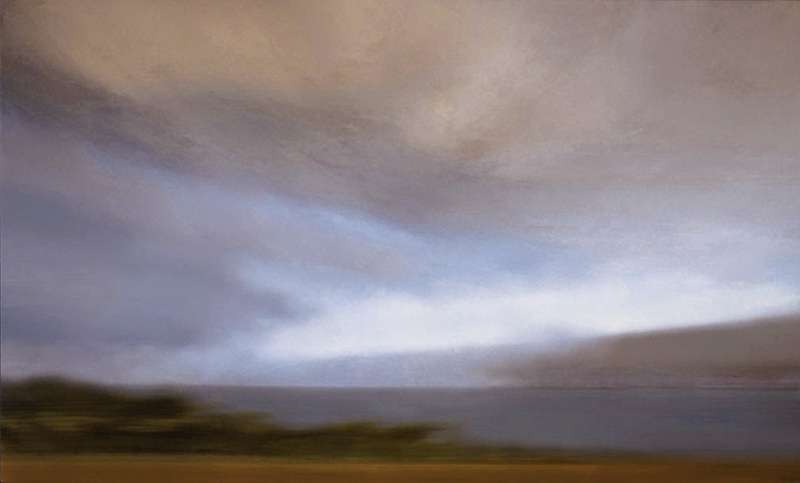 Don Scott Macdonald at Mirada Fine Art, 'Virga Laguna,' Original Oil/Alkyd on Canvas, 36" x 60"
Born in San Francisco, Don earned degrees at California State University and The Art Center College of Design in Los Angeles. 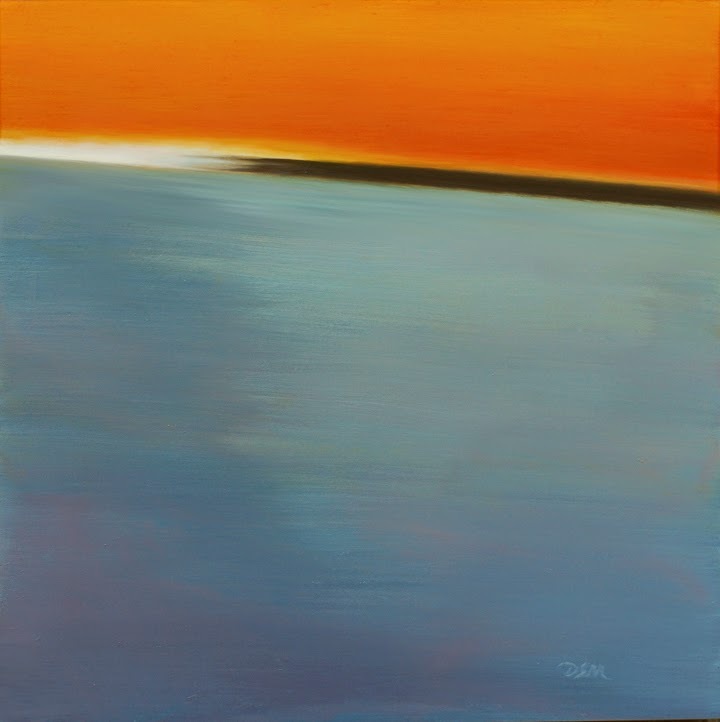 Inspired by the ever-changing light in California coastal scenes, Don quickly discovered he could translate that underlying glow to varying landscapes. His paintings are composed from an accumulation of observations and future hopes. Deceptively simple and powerfully emotive, his work displays a very distinct artistic elegance. Don Scott Macdonald at Mirada Fine Art, 'Early Grey,' Original Oil/Alkyd on Canvas, 12" x 12"
A reception with Don Scott Maconald will be held on Friday, May 16 from 6-9pm at Mirada Fine Art Gallery located in Indian Hills on Parmalee Gulch Road off Hwy 285, just 5 miles west of C-470. The exhibit will run May 17thth through June 8th. 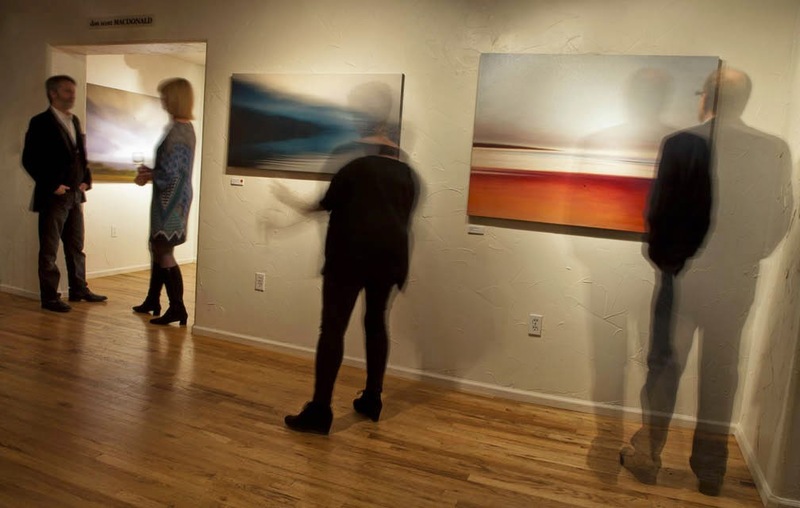 Don Scott Macdonald at Mirada Fine Art, 'Land's End' diptych, 15" x 72"